The following "selected" links are listed for the benefit of our Crew Members. Folk Dance Federation of California (North) Northern California - A wealth of folk dance information. Folk Dance Federation of California, South, Inc. Southern California - A wealth of folk dance information. Australian Dance YouTube - An Aboriginal dance performed in Australia. Austrian Dance YouTube - A group performs traditional Austrian folk dances. Azerbaijan Dance YouTube - A group of men and women perform an Azerbaijan dance. Basque Dance YouTube - "Itxasalde" performs Ilargi. Bavarian Dance YouTube - A Bavarian group performs a Schuhplattler. Belarusian Dance YouTube - "Belaya Rus" performs a suite of Belarusian dances. Bulgarian Dance YouTube - The "Silistra Folk Ensemble" men perform a suite of dances. Czechian Dance YouTube - A Czechian group from the Slovačko region performs the Verbunk. Danish Dance YouTube - The "Solvang Danish Dancers" perform Gustaf's Skoal. English Dance YouTube - Morris dancing of Princess Royal. Estonian Dance YouTube - The group "Rahvakunstiselts Leigarid" performs Kangakudumine and Kirburaputamine. Finnish Dance YouTube - The "Kiikurit Finnish Folk Dancers" perform two dances. Georgian Dance YouTube - The "Hungarian State Folk Ensemble" performs. Greek Dance YouTube - A Greek group performs Syrtaki. Hungarian Dance YouTube - The "Hungarian State Folk Ensemble" performs Gypsy dances. Irish Dance YouTube - The National Folk Theatre of Ireland "Anam" does traditional Irish dance steps. Italian Dance YouTube - An Italian dance group performs Pezinho. Latvian Dance YouTube - The Folk Dance Ensemble "Vektors" performs. Lithuanian Dance YouTube - The Lithuanian group "Saule" performs. Macedonian Dance YouTube - "Tanec" Macedonian women perform Vodarki. New Zealandic Dance YouTube - A Maori dance group performs Haka and Poi. Norwegian Dance YouTube - A performance group dances Hopparen. Polish Dance YouTube - "Lechowia Dance Company" does a Polish dance suite of Góal dances. Pontian Dance YouTube - A group performs the Maxeria Pitsiak (knife dance). Romanian Dance YouTube - "Joc," a dance troup of Moldova, performs Căluşarii. Russian Dance YouTube - "Moiseyev Dance Company" performs in a bio of the famous dance group. Serbian Dance YouTube - The Serbian State Folk Dance Ensemble "KOLO" performs. Scottish Dance YouTube - The "Caledonian Scottish Dancers" perform Swords. 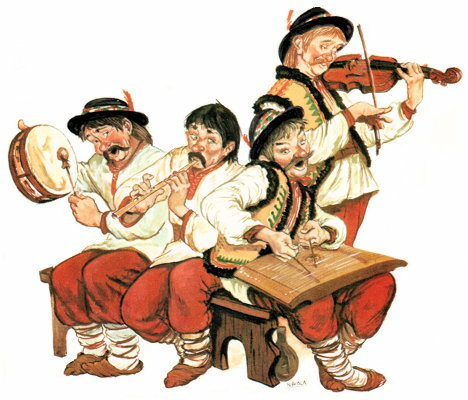 Slovakian Dance YouTube - "Ensamble Folk Jahodna" performs Flaskovy. Spanish Dance YouTube - "Compania Maria Pages" performs Flamenco. Swedish Dance YouTube - "Akademiska Folkdanslaget" dances the Hambo and Vädmal. Swiss Dance YouTube - "Swiss Folklore Dancers" perform Gsatzlig. Turkish Dance YouTube - "Karadeniz Horon" dances a suite of Turkish dances. Ukrainian Dance YouTube - The Ukrainian National Folk Dance Ensemble "Virsky" performs Hopak.